Recently, we’ve noticed a few of our competitors posting comparison lists featuring WorkflowMax along with other project management packages. These lists will show a table where different project-management software companies are compared against a number of parameters, with the company who made the list coming out well in the lead. The problem with a list like this posted by a company (as opposed to an impartial third party) is that they’re always skewed. It’s a marketing tactic, rather than any kind of honest attempt to evaluate and compare products on the market. The parameters are carefully chosen to highlight the company’s main benefits, and the wording is overly vague and doesn’t provide any real answers. We’ve seen two such lists in the past couple of months where WorkflowMax features were erroneously represented. The sole purpose of these comparison charts is to mislead visitors with incomplete and flawed information that is taken out of context. For all these reasons, you’ll never see WorkflowMax trying to win business by doing marketing-lead comparison charts with distorted information. If we ever do, it will be feature-driven to EDUCATE customers, not MISLEAD them. That’s just not what we stand for as a company. We don’t believe in using that tactic, as it’s not our role to compare products on the market, and we know you’re too clever to believe a list like that if it came from us anyway. You’re all out there doing your own research on the different products available, and if you choose our product, it’s because you know it’s right for you. So, instead of giving you a list comparing WorkflowMax to our competitors, we thought we’d create a guide to help you choose your project management software from all the options available out there. What Do You Need From Your Project Management Software? Above is an example of a misleading comparison list. For example, is a 30-day free trial really an important feature, or does a 7- or 14-day trial offer just as much value? What exactly is meant by "small business friendly?" If you can’t trust a comparison list to help you make your decision, how can you figure out which project management package is right for you? There are literally hundreds of options available on the market, from your bare bones spreadsheet or simple time-tracker, right through to comprehensive all-in-one packages. Where do you even start? Decision 1: All-in-One or Separate Tasks? The first decision you need to make about your software is whether you want a single solution that meets all of your project management needs, or if you want to pick and choose a range of different softwares to create your project management system - I like to call this the “chocolate sampler” box method of sorting out your project management needs. If your project management needs are quite simple, then combining 2-3 different software solutions isn’t a big deal. The smaller software packages generally do one thing - collaboration, document management, time tracking, payroll, quoting - really well. However, they might not talk nicely to each other, and this can require you to do double entry or lead to duplication of data leading to loss in productivity and increase in non-billable admin time. If you want a seamless flow of information from start to finish, an all-in-one software might work much better for your business workflow. Ensure that whatever system you choose will enable your company to grow. Will they still work effectively when you have 5x as many clients and 10 more staff members? Would it empower your team or become a bottleneck? Think about the future needs of your business. How much of your project management software do your clients have access to? If they need to learn to use the program for collaboration purposes, then teaching clients one system is easier than teaching five or six. If you’re using lots of different softwares, you’ll be paying lots of different bills. Having an all-in-one solution will likely save you money, and the accounting will definitely be easier! We’re a prime example of how your needs can change as you grow. A year ago, we were using 6 different softwares within the WorkflowMax Marketing Team. Each software took care of one aspect of our marketing suite - social media, email marketing, web analytics, website CMS, landing pages, and A/B testing. None of these softwares talked to each other, creating huge inefficiencies, information silos, average non-personalized, non-scalable marketing. A year ago we implemented Hubspot - an all-in-one Marketing Platform - and it has easily replaced all six of them. With Hubspot we’ve been able to do more than we could ever have achieved with the single task software; we’ve built a highly automated, personalized marketing machine. It has functionality and capabilities that can only be achieved by having an all-in-one solution. Once you get past the bells and whistles, all-in-one software generally has more to offer than single feature software just because of the way they are built; they have the ability to surface data-driven insights about your business and what you can do to become more profitable. Cloud-based software is usually subscription-based - so you pay one low fee every month for a certain number of users. You’ll always be using the most up-to-date version of the software. Desktop software, on the other hand, requires you to buy licenses for every user, and pay to upgrade these every time new software is released. if you’re working on the cloud, you can access your project data anywhere in the world, from any device. This is great if any of your team members operate off-site. With desktop software, you’re able to access the data on your computer without being connected to the internet. Cloud software offers your business protection from disasters. For example, if your offices burn down, your data is all stored online in a secure server and can be accessed instantly from another computer. We think that nothing beats cloud software these days, but then, we are totally biased! Decision 3: Which Features do you Need? Now that you know whether you want a cloud-based or desktop solution, it’s time to compile a list of the project management solutions out there and start comparing their features. Use websites like Project-Management and GetApp to find the different options open to you. You can also read reviews on these sites from customers and see impartial comparisons of different products. It might help to create a spreadsheet where you can make note of each product’s available features. Usually, our customers come to us because they are in need of one specific feature, such as the invoicing or job tracking. They focus on implementing that feature first and getting the most out of it, then start incorporating more of WorkflowMax’s features into their job management workflow. 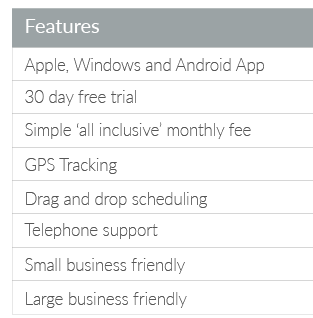 So choose the most important features required for your company, and then look at what else that package offers. Remember that most larger project management platforms will have some kind of add-on capability. If the main features don’t include everything you need, you should be able to find an add-on partner to provide the additional functionality you require. WorkflowMax has more than 25 add-on partners, expanding the uses of our software to include accounting packages, payroll, document management, customer support and CRM. Most software companies will offer a free trial. After you’ve narrowed down your list, use free trials to get to know different software and compare the interfaces and ease of use. Try using the software you are trialling for a complete project from start to finish. Only then you would be able to test if that software really works for you, saves you X number of hours, reduces double entry, streamlines your workflow, etc. Do your clients require highly individualised invoices with every cost spelled out? You need a customisable invoice functionality. Is it important to you that every document you send out matches your company branding? You need to be able to create branded, custom invoices, quotes and purchase orders. Do you want to provide clients access to your project management dashboard, while ensuring they only have access to their own projects? You need to be able to manage permissions. Do you manage and collaborate on documents throughout your team? You need your software to integrate with tools like Box, Dropbox and Google Drive. Do you wish you could search for clients or jobs based on specific non-standard details like type of work (residential, commercial) for an architectural practice? Having a custom-fields functionality would really help. Does your team regularly go out to onsite jobs? You need a mobile-capable system where they can enter time and access job data from the road. Is your team driving to new client locations everyday? You need a mobile app that integrates with Google Maps. Do you need a real-time view of where your guys are when they’re out in the field? You need GPS tracking. How important is the level / type of support offered? Is the availability of 24 hour phone and / or email support a deciding factor for you? Do you need 2 users, 20 users or 200 users? The size of your workforce will determine which product is a good fit. Do you want to be gain direct access to supplier price books? You’ll need the ability to import price lists. Do you spend too much time transferring job details from quote to job to invoice? You need an integrated tool that automatically creates a job from a quote, and then an invoice from the job. Do you have suppliers you work with regularly? You need a powerful system for managing purchase orders which can push them to your accounting software as a draft bill automatically. Do you offer support to your clients over email? You need your job management software to integrate with customer support software like Zendesk or Freshdesk so that you can seamlessly track time from your support software. Do you have an existing cloud-based accounting software? You need to be able to push your sales invoices into your accounting software seamlessly. Do you need a system that’s easy to implement and quick for staff to grasp? Are you desperate to know your net profitability per job, which client is your most profitable, and which team members are pulling their weight? You need software with detailed in-built reporting functionality and the ability to build your own reports by slicing the data however you like. Do you need to know the final net profitability for a particular project based on the amount paid by the client? You need a software that has the ability to pull that data from your accounting software and update your financials against your job. Do you want an interface that’s super modern and snazzy? You might need a minimal dashboard or a drag-and-drop interface. Do you need a system specifically designed with your industry in mind? Decision 4: What Feels Right? Now that you’ve narrowed down your search to a couple of project management systems that fit your needs, it’s time to choose the one you like best. I know it’s tough - because once you choose, it’s a huge hassle to switch again - but you can’t move forward without a decision. Talk to other users of your software shortlist, and ask them to list their top 3 pros and cons of their package. Look at customer reviews on sites like GetApp and see what the community thinks. Talk to your staff about which system they’d prefer to use. All these things will help inform your decision. But, at the end of the day, it comes down to your gut. Which system makes you feel more comfortable? Which company offers you the support you need? Which system gives you a feeling of “this is gonna work” when you use it? That’s the project management system to go for. So the next time you see one of those comparison charts for any product, look at who created it, and whose best interests it actually serves. Remember that it’s not the job of a marketing department to provide accurate and impartial market comparison data, and make sure you do your own research to discover which product best suits your needs.